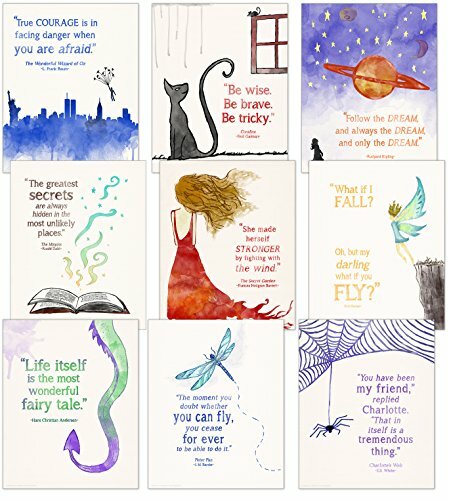 Children`s literature inspirational quote poster set of 9. Printed on heavy, 100-pound paper. Your most beloved children's literature quotes, are captured using vibrant and eye-catching watercolors. Printed on heavy 100 pound cover stock paper. This durable paper won't wrinkle and crease like typical poster paper.